Halloween table decor, why not? There are very few things that Lorena enjoys more than a family gathering around a table. 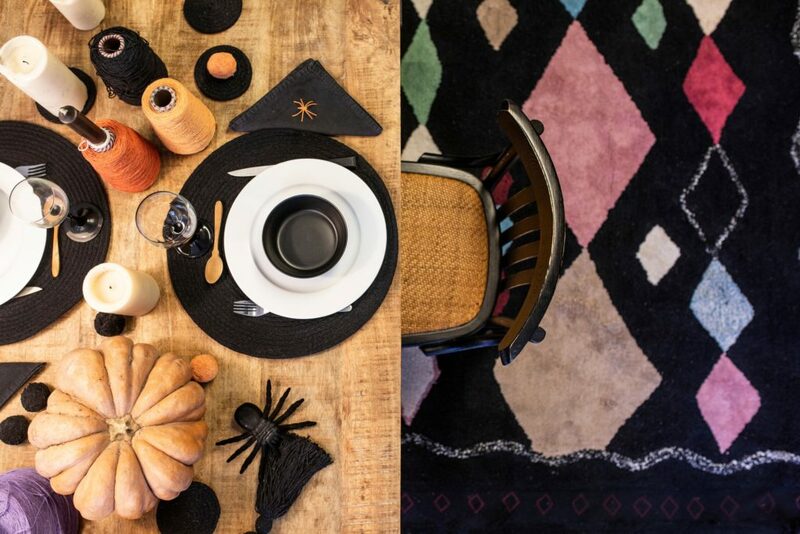 Setting up the table with original decor is one of them, and what better occasion to do it than Halloween? Sound familiar? Keep reading to find out how to treat your guests to the spookiest meal of the year! 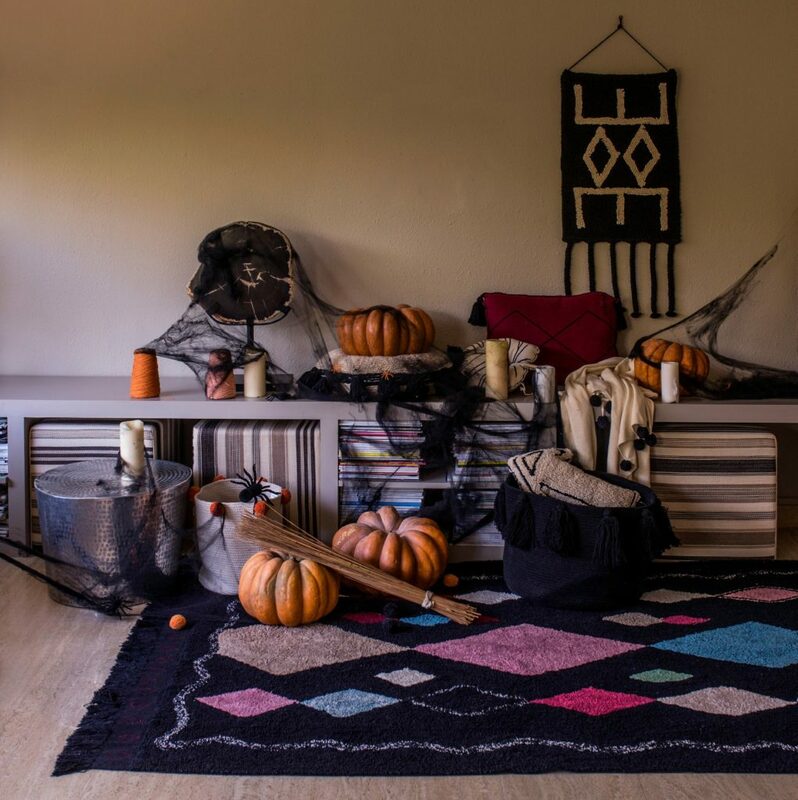 Originally celebrated by the Celts to welcome the longer, darker days of winter, Halloween is the perfect time to add those moody tones and dark shades to your home. Can’t find bold or moody colors in your home decor repertoire? Try black, it’s smart, classic, readily available – napkins, plates, cutlery, you name it! 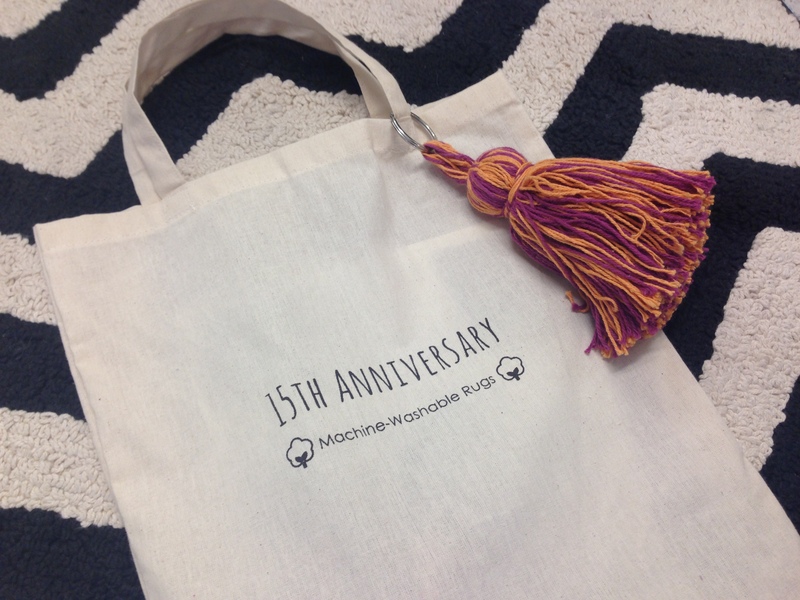 And if you ask us, it’s a must-have for your home all-year-round. Create a ghostly atmosphere by adding candles to your table decor. Mix sizes, colors, and shapes to escape an overly formal set up. 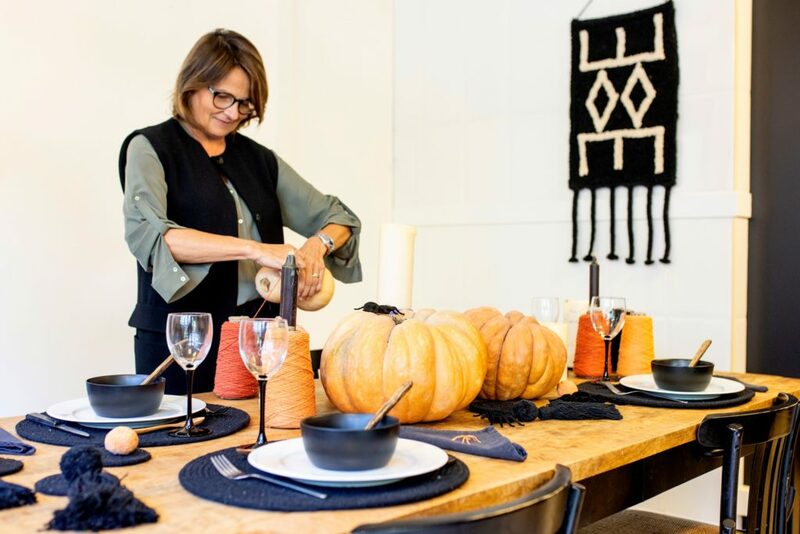 Lorena used cotton reels from her cotton lab for her dinner party, adding mustard, orange, pink and purple to her Halloween color scheme. Is it really Halloween if there are no pumpkins? 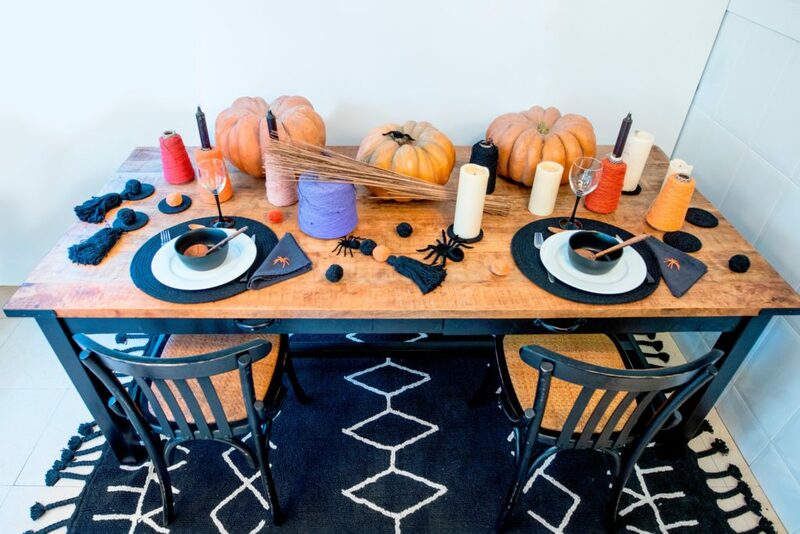 Being the centerpiece of almost every table that night, Pumpkins provide the perfect opportunity for the little ones to take part in carving duties. 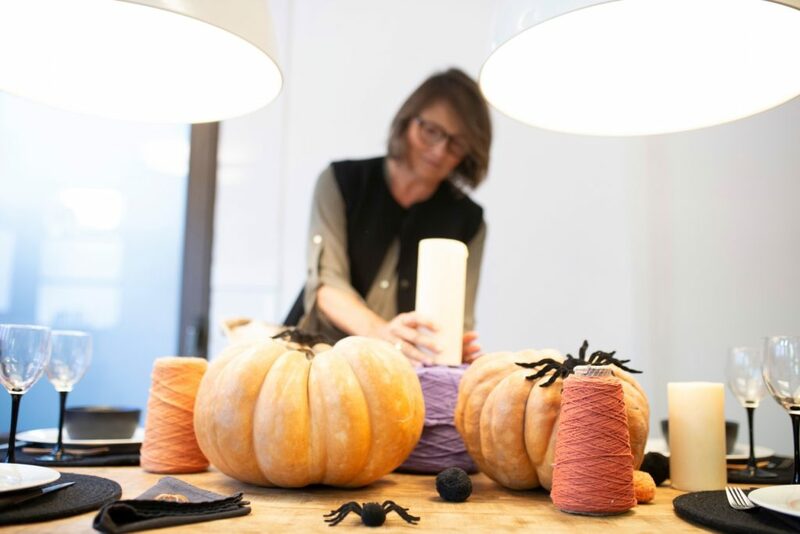 Get them in the spirit by inviting them to add cobwebs and spiders, without going overboard. Trying to keep it classy? Add flowers to your centerpiece pumpkin! Check out this great Pinterest DIY ideas! Throwing a big party? 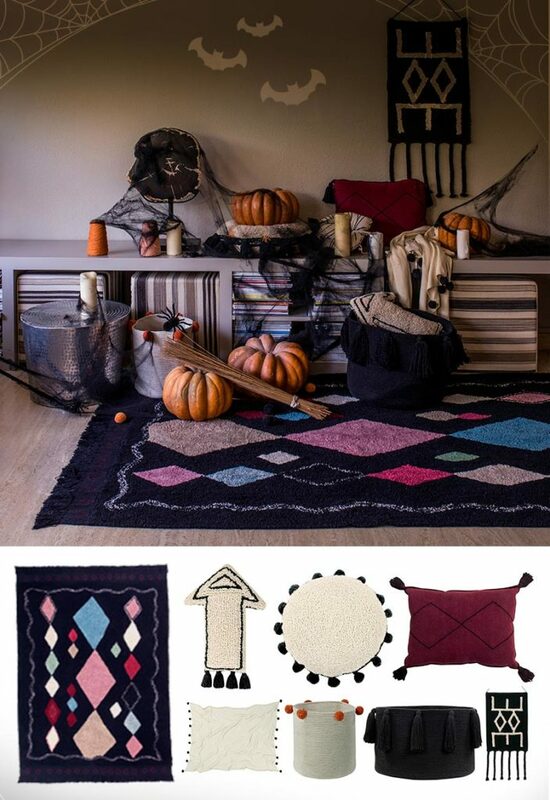 Protect your floors and get the perfect haunted house decor with our Lorena Canals Halloween selection.